Intercom Repair and Installation Services serving Montclair, South Orange, Maplewood, Essex Fells, Roseland, North Caldwell, West Caldwell New Jersey"
Christopher Dayan Security has been installing advanced intercom systems for residences and commercial facilities in Montclair, Maplewood, Essex Fells, Roseland and the surrounding New Jersey areas since 1991. We carry a wide variety of intercom systems, everything from simple audio-only intercom systems, to more complex video and audio intercom systems that allow for buzzing someone into the building. 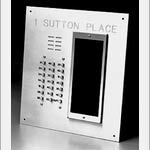 Our expert staff will help guide you through the process of deciding which intercom system best meets your security needs and still fits into your budget. 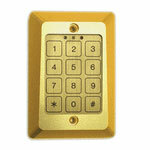 We'll help you choose what intercom system is best for you! Wired Intercom Systems - this type is installed with a wiring system threaded into the wall cavities, usually when a home or building is first constructed. Wired intercom systems generally have the highest quality signal of all the intercom systems, providing the best sound and visual quality due to the high quality, specialized wiring this type of system uses. Carrier Current Intercom Systems - this type uses a carrier current which is integrated into the electrical wiring of a building. 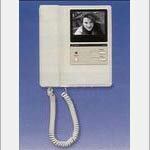 With a carrier current system, the intercom signal is carried along with the electricity. 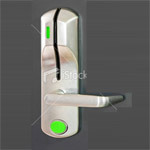 While offering many of the same advantages of a hardwired system, the cost of this type of intercom system is generally lower than hardwired systems but it dooesn't have as high a quality of sound, due to the shared nature of the wiring. 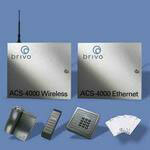 Wireless Intercom Systems - this type uses radio frequencies to transmit its signals. 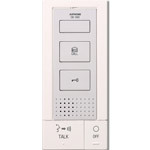 A wireless system the easiest and cheapest of all the intercom systems to install, while still offering a wide range of options to the buyer. 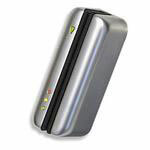 It's important to note that some wireless systems can experience interference problems with their signal, depending on the system you purchase. Also important to determine before buying is the range of the system. 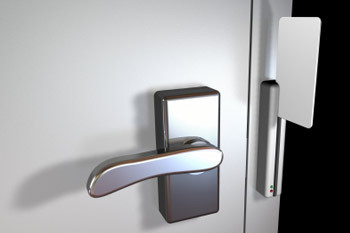 Here at Christopher Dayan Security, we aim to make the whole process of selecting and installing an intercom system easy for you. Our technicians are familiar with nearly all intercom systems on the market today, and are fully capable of handling any installation or repair you might need. Whether you need an intercom system for your home, a shared dwelling, or a commercial space, we can install it promptly and professionally, and at a competitive price. 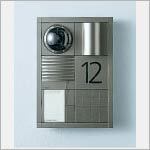 Call us today to discuss your intercom systems needs!